Tracy Hoogenboom is the owner of ToeRings.com. She is married and the mother of triplets (21) plus one (19). She has worked from home for the last 20 years. She has contributed to the non-profit world at Sidelines National Support Network, and created an online support program for pregnant moms over 15 years ago. She started ToeRings.com in 2001. She is the second parent of triplets I have interviewed this month. As a parent of triplets myself, I assure you this is purely coincidental and not some triplet parent cult thing. Mike: Can you give a little background on your business? Tracy: Launched the site in Oct 2001. I hired a guy who developed the first online banking software to design a simple site for me. That original site was up until May of this year! Over the years we have managed with 1-2 extra helpers in the busy season May – Sept. My two daughters and their friends have been my employees. Mike: What gave you the idea to start ToeRings.com? Tracy: About 12 years ago I went on a trip to the beach with my friend, and she took me to a booth at the local art festival to get a fitted toe ring. I was shocked how many people were waiting to get fitted! When I went home I was buying urls for investment and looked up toerings.com and it was available. I was not thinking of starting a company, but to purchase the name to re-sell at some point. Mike: Has has owning the domain impacted your business? Tracy: Well, it’s about the best domain name you can have for the business. Honestly, there were a few old-timers out there who had been in the business for years who called me and asked what my intentions were with the website. I think having the name shows the business is legit but a good site design helps as well. It doesn’t look like a click and build. Mike: Can you share the volume of traffic that your site receives? Any idea what percentage comes from people typing the domain name in (type-in) the url vs. searching? Tracy: In the summer we get about 5500 hits per day and about 35% of those are direct hits. Tracy: I have tried several of the PAY marketing strategies and found that they were overly expensive. I’ve recently done ads on Facebook at about $20 a day, but did not see many sales conversions coming from that. All my money has gone into SEO, making sure I get the top spot on Google search. Article linking and keywords that work are also important. I also keep all my customers on a Constant Contact database (we have about 12,000 email addresses at this point) and make sure my regular customers get emails re: special offers. For instance, we are positioning for an email to go out in the next week or so targeting holiday sales and gift certificates. Mike: Did you have another domain for your site before this one? Tracy: No but I have several other names that point to the site. Tracy: Domain names are very important. Always try and keep them short and get the .com if it’s available. Get several that are similar and point them to your site. When you tell your customers to go to your site, they will probably not remember a url that is several words put together. Try and be creative, but chose something that is spelled and pronounced easily. I recently bought toeringwholesalers.com to use as my wholesale site. 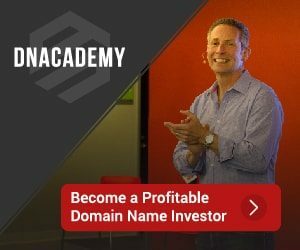 Mike: Do you think you would be willing to sell your domain at any point? Have you ever received any unsolicited offers? Tracey: If the price was right I would consider selling the domain and the business together as it’s a nice little package. Right now we have just finished a major update and overhaul to the site’s design and functionality and we are continually looking for ways to improve and increase business. Tracy: People are usually very interested in knowing how to start an internet business. Start small and don’t expect miracles overnight. Have something unique to sell or offer. Learn from mistakes, because there will be mistakes. (I did a Google adwords campaign and it end up costing me $700 in one week!) Beware of overseas orders. Know what it takes to run a business all the time and have coverage when you go on vacation so there is no lapse in processing. Get good help from website developers – you pay for what you get. I noticed that your Alexa rank is around 2,000,000. That in no way is around 5,500 people a day. My site has about the same rank and it is about 30-40 people a day. Wondering where you are getting your stats? Interesting article. I really like reading stories like this. @LS – Alexa rankings are worthless. Although not 100% accurate, Compete.com does show that this domain receives a good deal of traffic. Compete.com shows MONTHLY traffic. The most this site has ever gotten in the results shown is around 4000/month. Yes, that’s true I get about 30-40 visitors, but my page views/hits are around 90-120 per day due to each visitor visiting 3 pages on average. But that is still no where near 5,500 per day. Even though some may consider Alexa inaccurate, this month’s data for the site on Alexa is roughly around that of Compete.com. Alexa wouldn’t be off by thousands per day for a site with only a few visitors a day. lol I keep commenting on this blog. I re-looked the definition of hits. That must mean if 30 visitors visit, each must view around about 183 files/images/documents per visit. Sorry for all these comments, just trying to make sense of everything. Great interview and invest in a business you either know well or like a product. The American dream she did and doing well. Do you think toerings.com cares about your view points on Alexa and etc. Come on get over Alexa or trying make judgements on traffic. i would have never imagined this site gets so many hits – i didnt even think people stil wore toerings! Hey guys, I was referring to the hits we get in the summer…If you are looking at charts now, traffic does decrease in the winter. We have been tracking stats since the site launched in 2001 and get our reports through our hosting. I am happy to say this has been an awesome December with over 150 orders so far, a record for us. We are averaging 10 orders per day in the winter, which is a first. Really, I have triplets plus one. And they are all in college. Another good reason to sell a lot of toe rings. What makes for a catchy domain?